Hi guys! Happy Monday! Just a quick video to show you 2017's Clarins USA Advent Calendar. This Advent Calendar would make an amazing gift for yourself or someone special, with two dozen skin care and makeup surprises, one for every day leading up to the holiday! Get it now at clarinsusa.com! Hi there! It's winter! But today was not so cold. It was just a tad bit chilly so I was able to wear shorts and keep warm with this gorgeous camouflage blue sweater from Dresslily. Dresslily store is a great place to shop and they have a lot of amazing clothes for fall and winter. Shipping is crazy fast too! Check them out HERE. What I do love about that start of fall season is playing around with my summer pieces and combining them with my jackets and boots. It's that in between weather that is so awesome because I feel like I don't have to bundle up too much and still be able to wear some of my cute summer pieces. Check out this summer dress that i combined with this ZAFUL Fringe Jacket! I love this unique jacket. It's so fun and so chic! 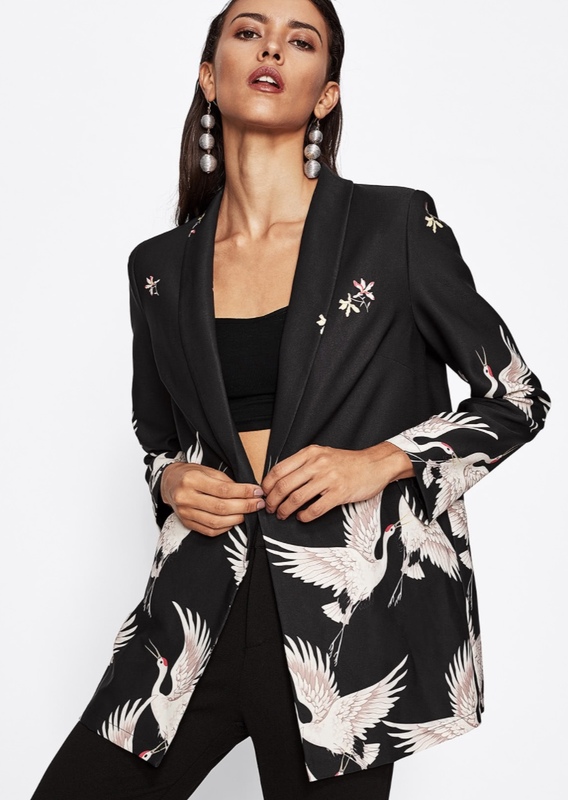 Zaful carries a wide range of items. I got these hot sunglasses from there too! Holiday Perfect! Red Dress with Ruffles. Get it HERE. Pompom & Utility Jacket. Get it HERE. Blue Varsity Jacket. Get it HERE. Long Baseball Jacket. Get it HERE. Super Cute Angel Wing Sweatpants! Get it HERE. Shoulder Patch Embroidery Jacket. Get it HERE. Studded Denim Jacket. Get it HERE.